You must make reservations at least 5 minutes in advance of the time at 7 Saints. 7 Saints is a neighbourhood restaurant in the heart of Notting Hill. 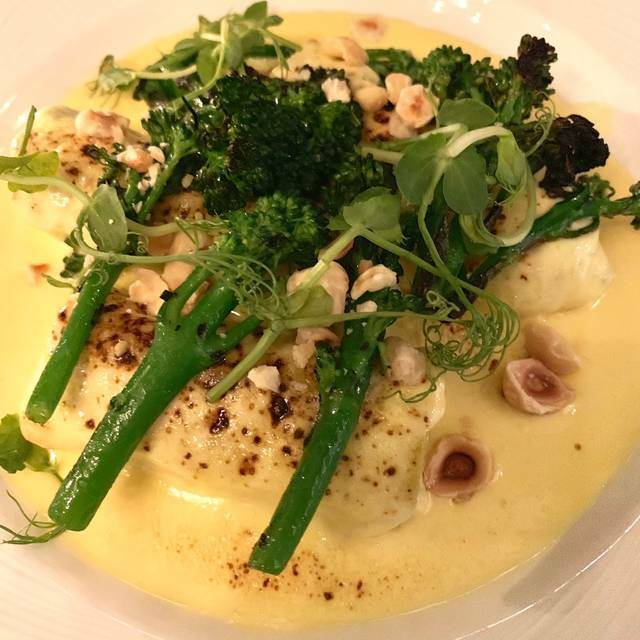 Our weekly changing menu celebrates quality ingredients, serving seasonal modern European Food. 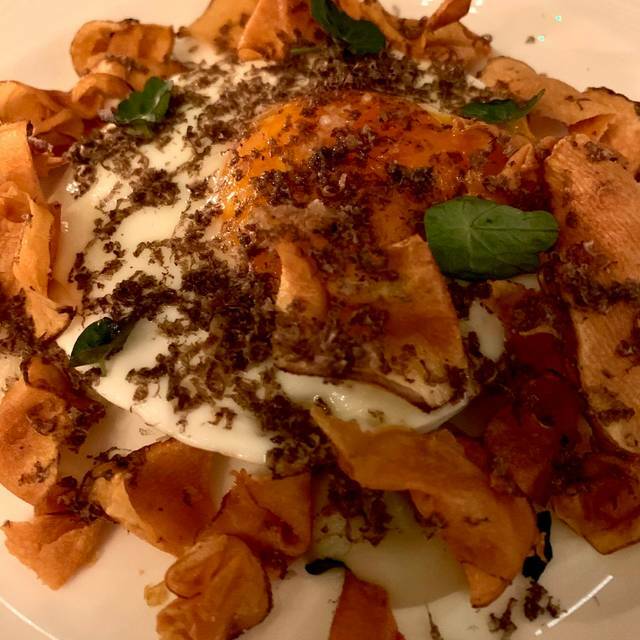 I live nearby in Notting Hill and we ate at 7 saints on the Saturday before Easter. We had an absolutely fantastic meal. The cooking was vibrant and inventive and the service was friendly and efficient. In particular the halibut in lobster bisque with wild fennel and padron peppers was exceptional, one of the best things I’ve eaten in the last year. Highly recommended. Great food, ambience and service. Would definitely go again. Excellent neighbourhood restaurant with a weekly changing seasonal menu. We had two waiters - one excellent, one not so great but that didn’t detract from a wonderful meal. The last restaurant at this location was much loved so 7 saints had quite a lot to live up to. I think they’ve succeeded! Delicious food and fantastic wine list. Wonderful atmosphere that is perfect for a quite supper for two on a Monday night or a larger group on the weekend. The lighting is perfect - overly harsh lighting in restaurants is my pet peeve! Importantly, when the bill arrives you don't have that awful feeling of thinking "was it really worth that?" which you so often get at Notting Hill restaurants. 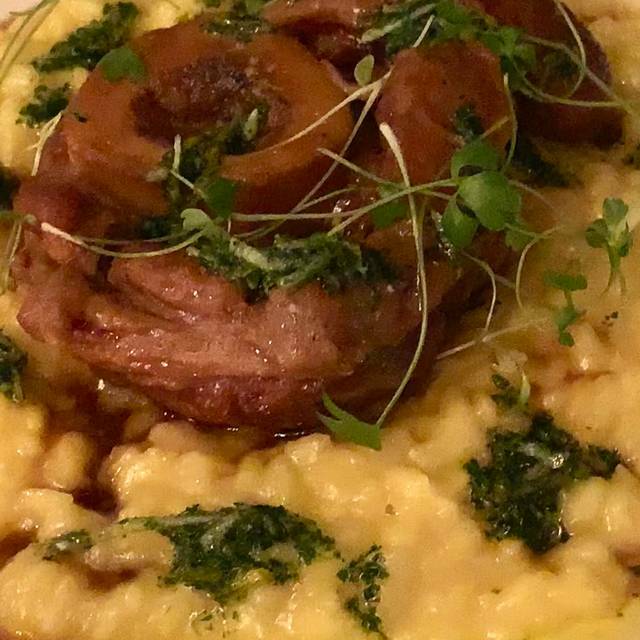 In fact, it's such good value, which comes from really clever menu planning and an excellent chef, that invariably I think I've been undercharged. 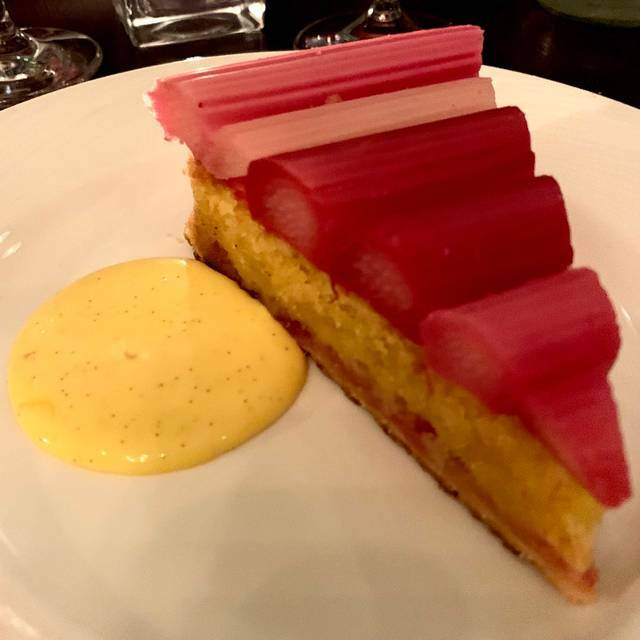 It's my favourite restaurant in London - and the seasonal menu changes every week so I can't ever tire of it. Can't recommend highly enough! Really interesting - and delicious - food. Great, relaxed atmosphere. A real find! We had a lovely dinner at 7 Saints last Friday. There was a bit of a mix up with the tables and bookings but that was sorted out fairly quickly. We choose a lovely bottle of french white and had prawns & squid for starters. This was followed by guinea fowl which was very delicious. We then asked if we could take a desert home and they gave us bagniers (small doughnuts) with passion fruit creme which were really indulgent and lovely. Overall a great experience although as it’s local for us I asked if we could bring our own bottle of wine next time which they said we could but with a £20 corkage...a little steep but I would still return. Amazing food , wine and ambiance! True makings of a local Notting hill gem! Lovely relaxed atmosphere, delicious British seasonal food. A thoroughly enjoyable experience and I can’t wait for my next visit. Outstanding food, even better service! Never disappoints. Fantastic food and friendly service though the waitresses didn’t seem to know what dish was for who at the table! 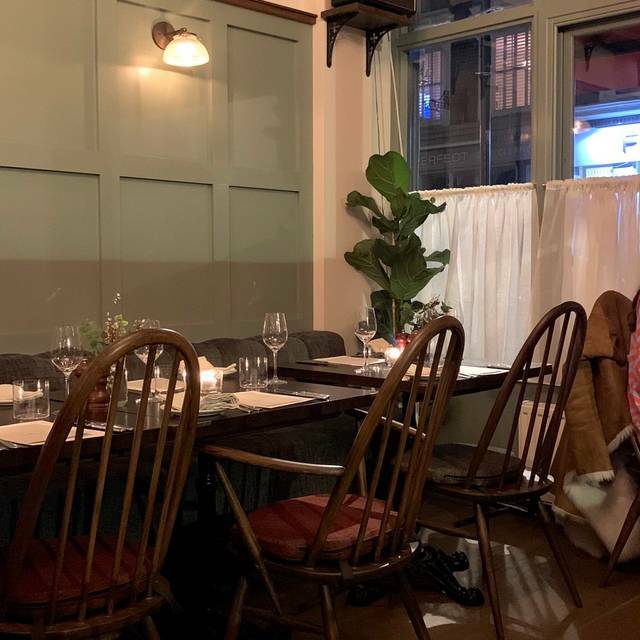 The restaurant has a nice casual local feel and we personally found it very noisy and hard to talk and be heard in conversation. But we will definitely go back and really lived the food. Delicious food, great atmosphere and amazing service would 100% recommend and will be going again soon! 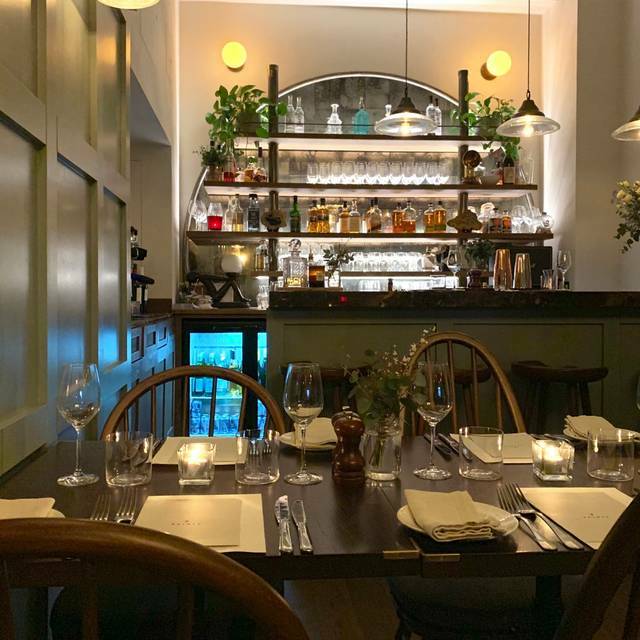 Charming, unassuming, tucked away and a totally delicious treat - with dedicated front of house and a really lovely warm atmosphere. Literally cannot fault the food and we have now been 5 times now with various friends each time not disappointed. In fact I don't want to share this review as at the moment its busy but not stupid to try to get a table and I feel soon this will be rammed with a waiting list! New best place. Amazing new restaurant!!! A local Gem! Great interior design, comfortable seats and tables, it provides an intimate and comfortable atmosphere. The food is delicious, the menu is limited but what they offer is reaching the quality of a 1 star Michelin restaurant. Unfortunately the place is quite small and we were seated in front of the door. Food was great, service was quite slow, we waited over a hour for the starters. Our first time and we had excellent food, unexpected dishes and a delicious dinner. James makes an excellent and welcoming patron, the ambiance and redecoration are both charming and we will definitely be back. Stunning food - brilliantly inventive and risk taking, whilst also creating tasty delicious food. Service was great, wine list well curated and staff passionate. Top eat of the year so far. Michelin star contender? Simply superb. Outstanding food, outstanding quality, impeccable service. Would recommend to anyone. Brilliant local neighbourhood restaurant. Perfect food, lovely environment, keep it up. Excellent food. Staff very friendly and service excellent. Atmosphere very chic. The proprietor and staff are so helpful and I love their uniform they look relaxed and smart and are extremely knowledgeable about the food on the menu should questions be asked. As the restaurant is still in it very new early stages I'm sure the menus will be tailored with Coeliacs and Pescatarians in mind and possibly the portions be more generous reflecting the prices. The acoustics is fairly loud possible due to it being a fairly small in size although they have room below that can take a larger party... The restaurant is very warm in the summer but baring in mind and considering this has been the hottest summer since 1976 they have done extremely well in keeping as cool as they possibly can and keeping customers happy. I look forward to visiting the restaurant in the Autumn and Winter months and experiencing their new menus.